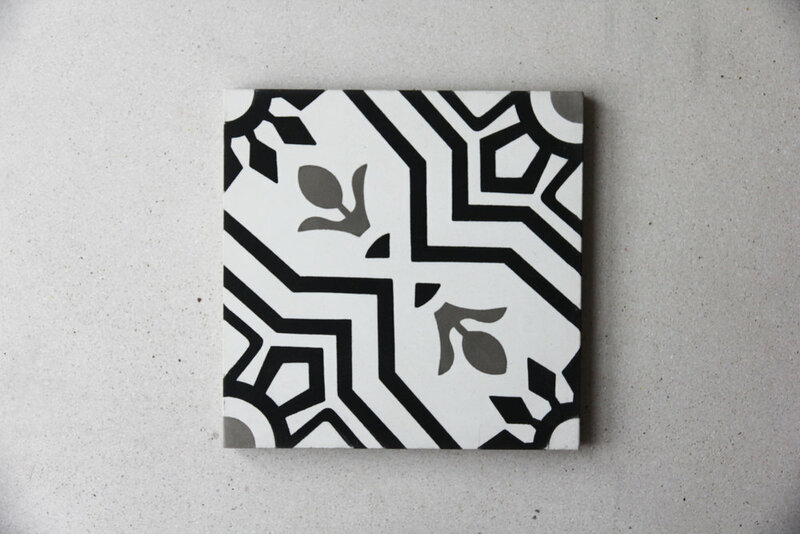 Tiles of Ezra's encaustic cement tiles have intricate patterns and colours that are reminiscent of a mosaic. Each tile is handmade and dries slightly different from the next, with variation in depth or bleed at the edges of the pattern. The inconsistency adds to the overall beauty of the tile when laid.The cement range come in bold colours and shapes which we love. There is a slight variation and shadowing in the tones of each tile, when installed in mass the result is pure sophistication and character!The cement range have a soft sophistication and elegance that can add dramatically to any space. The tiles can be used for indoor, outdoor flooring, in bathrooms and kitchens on the walls or floor and splash backs.